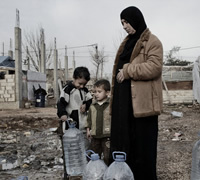 Oxfam is providing more than a million people with clean water in Syria. 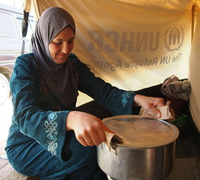 Many have been displaced following the retaking of territory from opposition groups back to the Government of Syria. Oxfam has installed water tanks and water piping as well as latrines for displaced people. It has also provided cash for work for people in Aleppo doing street cleaning and road repairs. Oxfam is there.